Gules on a chevron Argent between two spur-revels in chief and a halbert in base Or three ravens proper. Sir James Balfour Paul's Scottish Ordinary. Gules on a chevron Argent between two spur-revels in chief a halbert in base Or a boar's head erased between two hands each holding a dagger proper. Sir James Balfour Paul's Scottish Ordinary. 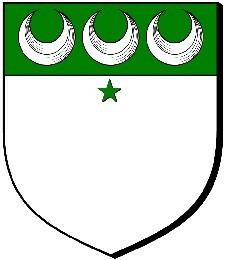 Gules on a chevron Argent between two spur-revels in chief a halbert in base Or three bears' heads proper muzzled of the first. An Ordinary of Arms Volume II 1902-1973. Argent on a pale Azure between two flanches Sable each charged with a lion rampant of the first armed and langued Gules five cinquefoils also of the first. An Ordinary of Arms Volume II 1902-1973. 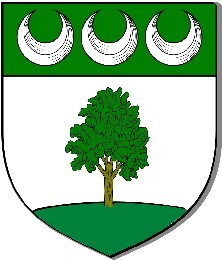 Argent on a chief Vert three crescents of the first. Sir James Balfour Paul's Scottish Ordinary. 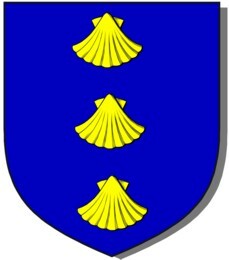 Argent on a chief indented Vert three crescents of the first. Sir James Balfour Paul's Scottish Ordinary. 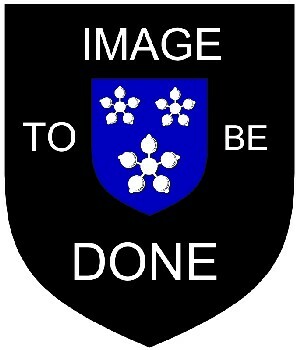 Argent a crane holding in the dexter foot a stone proper on a chief vert three crescents of the first. Sir James Balfour Paul's Scottish Ordinary. 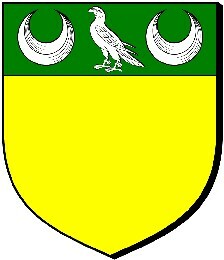 Or on a chief Vert a goshawk between two crescents Argent. Sir James Balfour Paul's Scottish Ordinary. 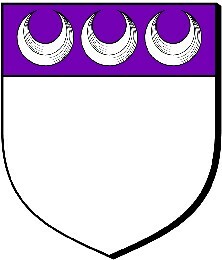 Argent on a chief Purpure three crescents of the field. 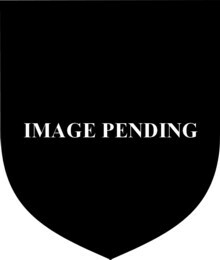 An Ordinary of Arms Volume II 1902-1973. 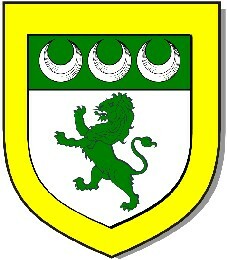 Argent a lion rampant Vert * on a chief of the last three crescents of the field. 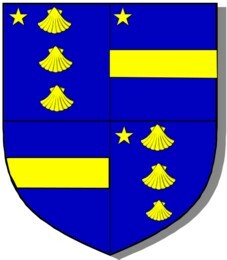 * having reference to the family of Home An Ordinary of Arms Volume II 1902-1973. 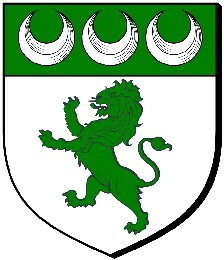 Argent a lion rampant Vert * on a chief of the last three crescents of the field a bordure Or for difference. 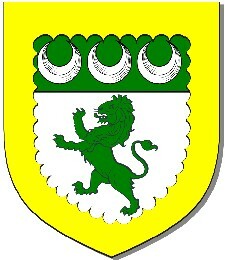 Argent a lion rampant Vert * on a chief of the last three crescents of the field a bordure engrailed Or for difference. 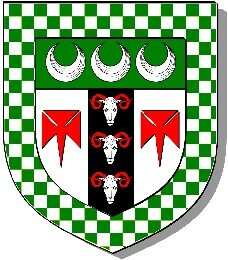 Argent on a pale Sable between two crosses pattee fitchee Gules, three rams' heads cabossed of the first horned of the third on a chief Vert three crescents of the first within a bordure chequy of the first and fourth. An Ordinary of Arms Volume II 1902-1973. Argent an apple tree proper growing out of a mound Vert on a chief of the last three crescents of the first within a bordure Gules. 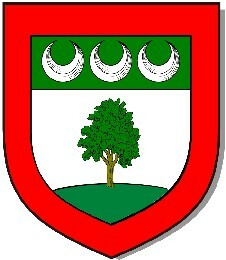 Argent an apple tree proper growing out of a mound Vert on a chief of the last three crescents of the first. 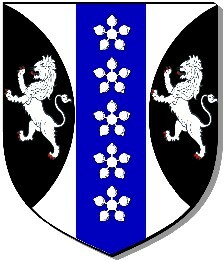 Per bend Nebuly Sable and Or a lion rampant counterchanged. 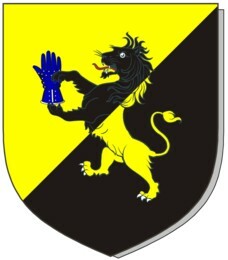 1) Harleian Society's Grantees of Arms to the End of the XVII Century. 2) Burke's General Armory, 1881. 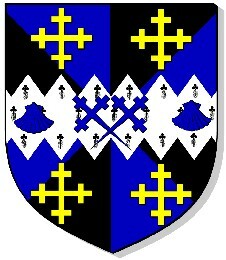 Argent on a chief Vert three crescents of the first, a mullet for difference. Harleian Society's - The Visitations of Hertfordshire, 1634. 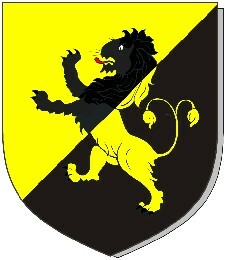 Per bend sinister Or and Sable a lion rampant counterchanged tail forchee. Harleian Society's - The Visitations of Kent, 1619.
of Poundisford, Somerset Azure three escallops in pale Or. 1) Harleian Society's - The Visitations of Somersetshire, 1623. 2) Harleian Society's - The Visitations of Somerset & The City of Bristol, 1672.
of Guildford, Surrey Quarterly 1st & 4th Azure three escallops in pale Or a mullet for difference (for Symmes) 2nd & 3rd Azure a fess Or (for Elliott). Harleian Society's - The Visitations of Surrey, 1662-8.